Denise Carol Rock, age 53, of El Dorado Springs, Missouri, passed away at Community Springs Healthcare on Tuesday, November 26, 2013. She was born in Bolivar, MO. She fought a brief, but brave battle with lung cancer. She was married to John Ruston and to this union two children were born: Misty and Joshiah. On September 27, 1997, she married the love of her life, Robert Rock. Denise was previously employed by Community Springs Healthcare and Dollar General and loved both of them. Her grandchildren were the light of her life, and she enjoyed attending all of their sporting events that she could. Due to chemo Denise knew she was going to lose her hair, so she donated it to Locks of Love. Preceding her in death were: John Ruston; her adoptive father, Bill Barnhouse; her maternal grandparents, Elvet and Dolis Andrews; and her brother-in-law, Tim Rock. 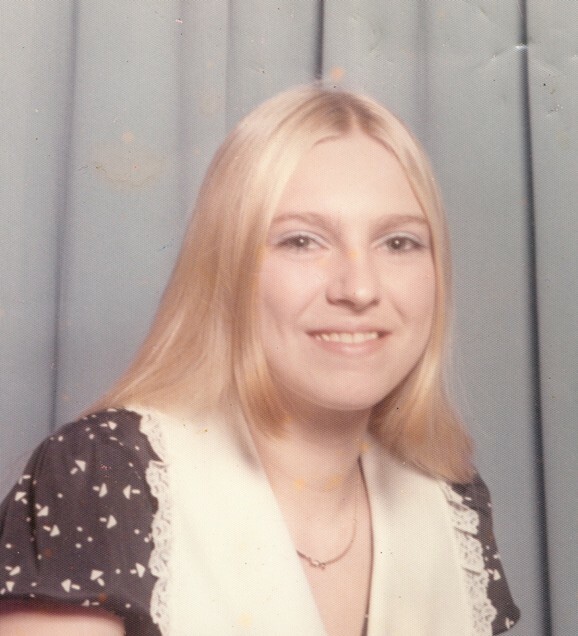 Denise is survived by her husband, Robert; two daughters: Misty Ruston-Rock and Danielle Ostrander; one son, Joshiah Ruston and fiancé Tracie; her grandchildren: Jesse Ruston, Landon and Dusty Rock, Joshiah Jr., Sabrina and Naudia Ruston, Damian, Tomeca, and Blake Ostrander, Garret Livingston, and Tracie’s children: Brendan Smith, Kevin and Taylor York; mother and stepfather, Dixie and Clyde Haddock; mother-in-law, Agratha Daniels; sister Diane Ross and husband Ron of Athens, TX; and brother Darren Barnhouse and his wife Lorriane of Round Rock, TX. Denise also leaves behind her little dog Mack-Mack. Funeral services for Denise Rock were held on Saturday, November 30, 2013, at 10:00 a.m. at El Dorado Springs Assembly of God Church. Pastor Dana Taylor officiated. Music was provided by Janet Pike. Burial followed in Clintonville Cemetery under the direction of Bland-Hackleman Funeral Home. Pallbearers were: Seth Rock, David Anduser, Marge Daniels, Gary Dempsy, Scotty Carter, and Steven Fast. Honorary pallbearers are Randy Rock, Landon Rock, Klint Bruce, Jesse Ruston, and Joshiah Ruston, Jr.